Creamy polenta? Spicy tofu? Fajita salad? How did we get so lucky to have such a winning line up for this week's recipes? Happy cooking! You're going to want to sit down for this winner. 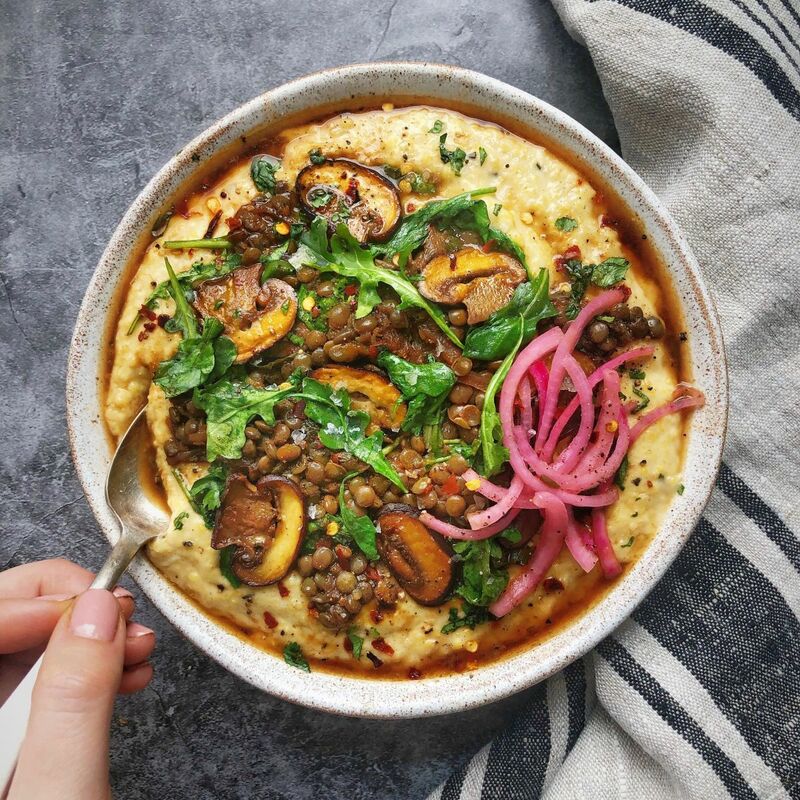 Creamy polenta is topped with hearty mushrooms, lentils, and tangy, quick-pickled onions. Feedfeed Tip New to quick pickling? Try it out with your favorite veggie–it's great for way more than just onions. 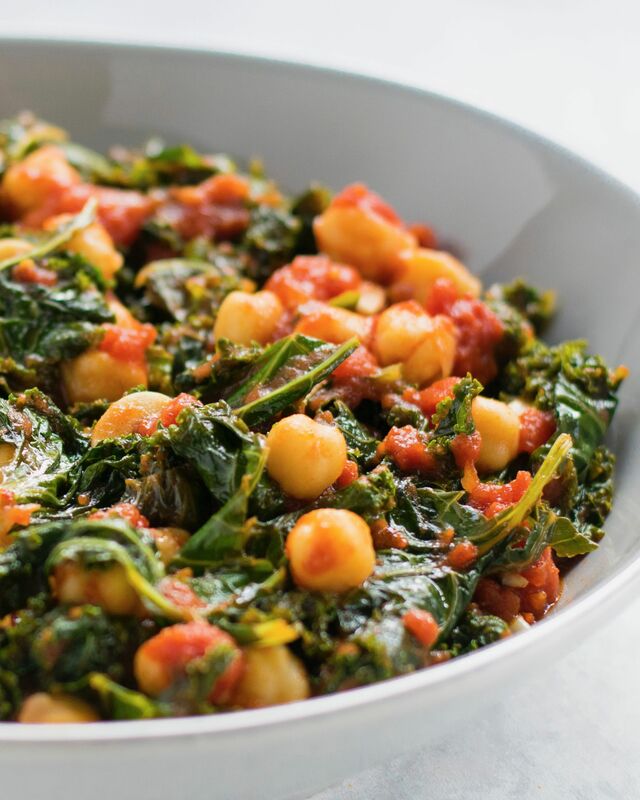 For a simple weeknight dinner, look no further than these hearty garbanzo beans with kale. It's the perfect combination of tangy, sweet, and spicy. Swoosh, there it is! 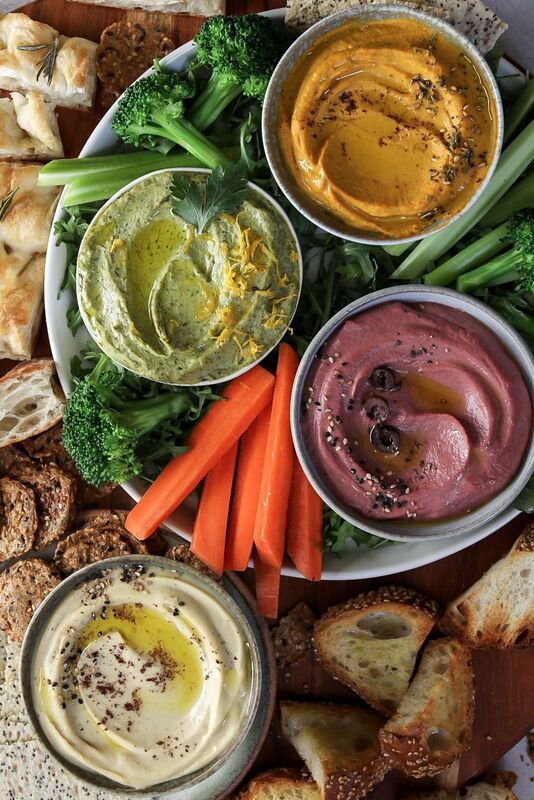 This easy hummus platter is the perfect opportunity to snack your way through dinner! 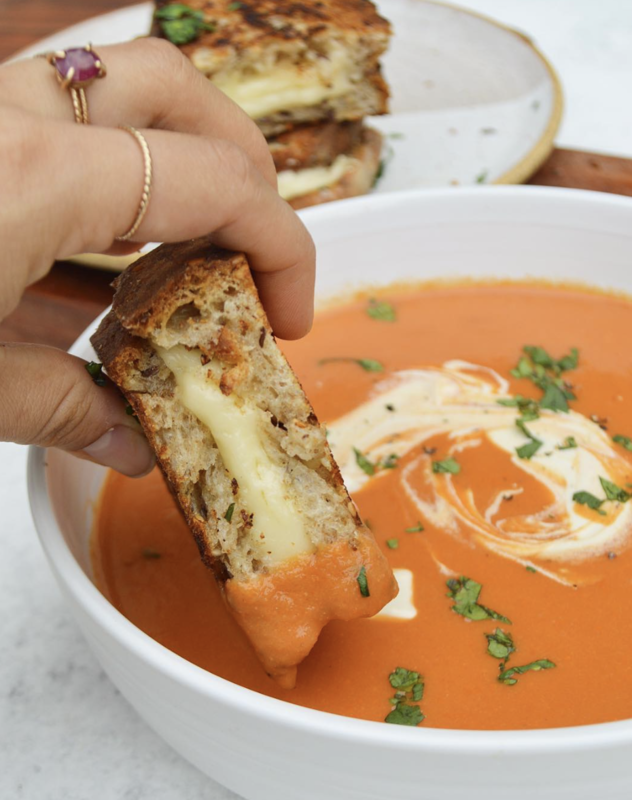 Spring isn't here quite yet, which means an indulgent bowl of creamy tomato soup is more than acceptable. Soaked cashews bring a new level of rich creaminess to this satisfying concoction. An easy way to use up some of that winter citrus? 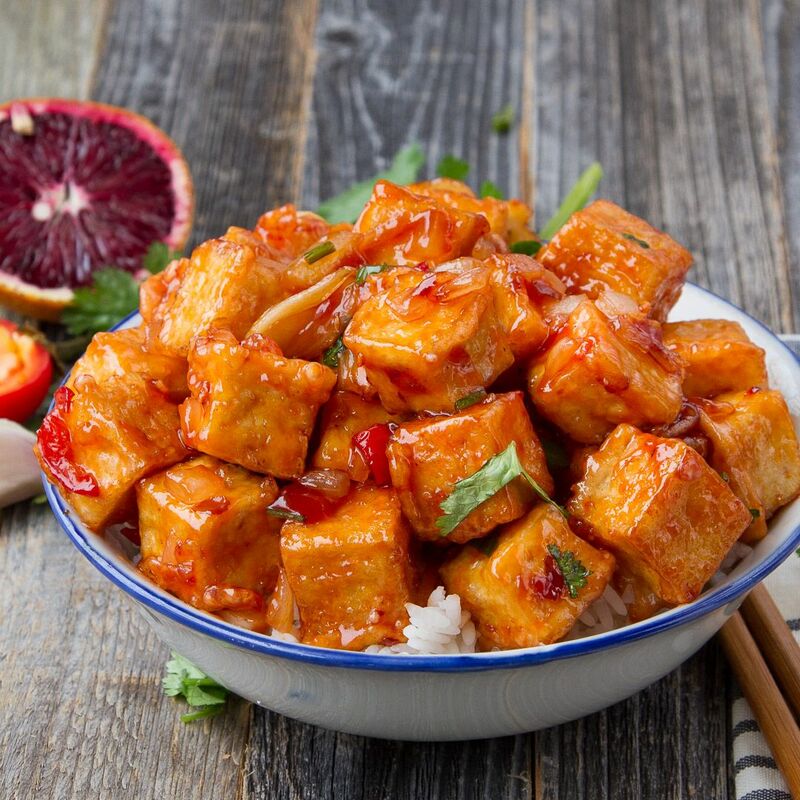 A sweet & spicy sauce for your next batch of crispy tofu! 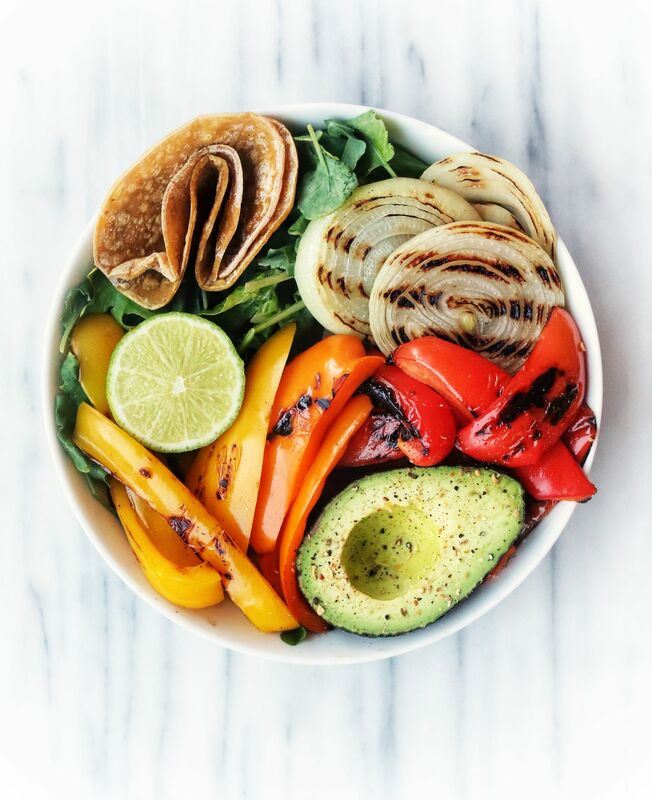 It's all about the burrito bowls, and this tasty fajita salad does not disappoint. Add crumbled tortilla chips for a salty crunch! Cozy up to this bowl of comfort this weekend. 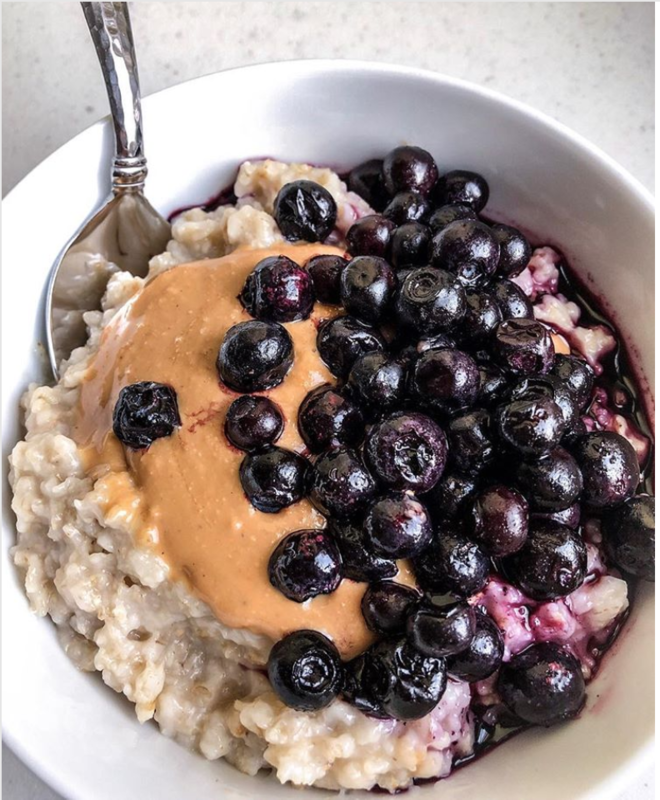 Topped with a sweet, cinnamon blueberry sauce and creamy nut butter, this oatmeal has got it all! Feedfeed Tip Want delicious oatmeal for the rest of the week? Make the recipes times 6 and batch it out for an easy, on-the-go breakfast.